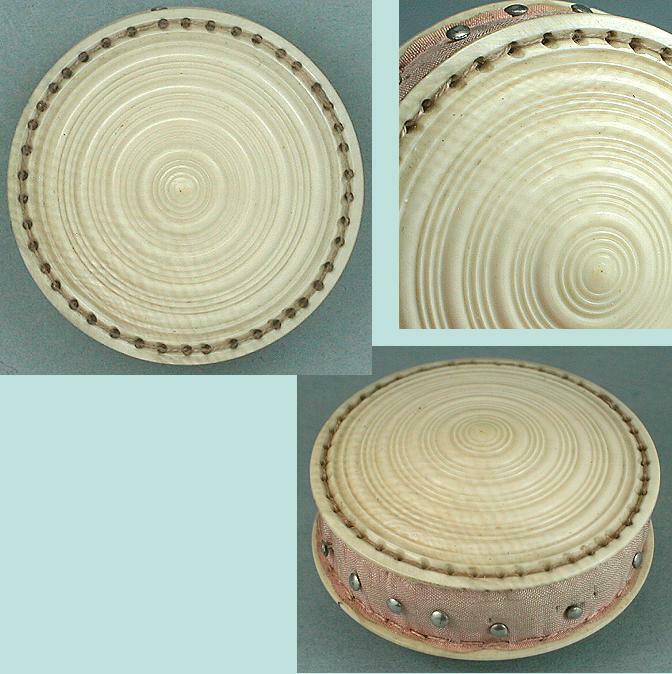 Both sides of this high quality disc style pincushion have been smoothly carved with concentric circles. The condition is excellent with no chips or damage and it has the original rose silk cushion which is intact. The patina and grain are gorgeous and it measures 1 3/8" in diameter. 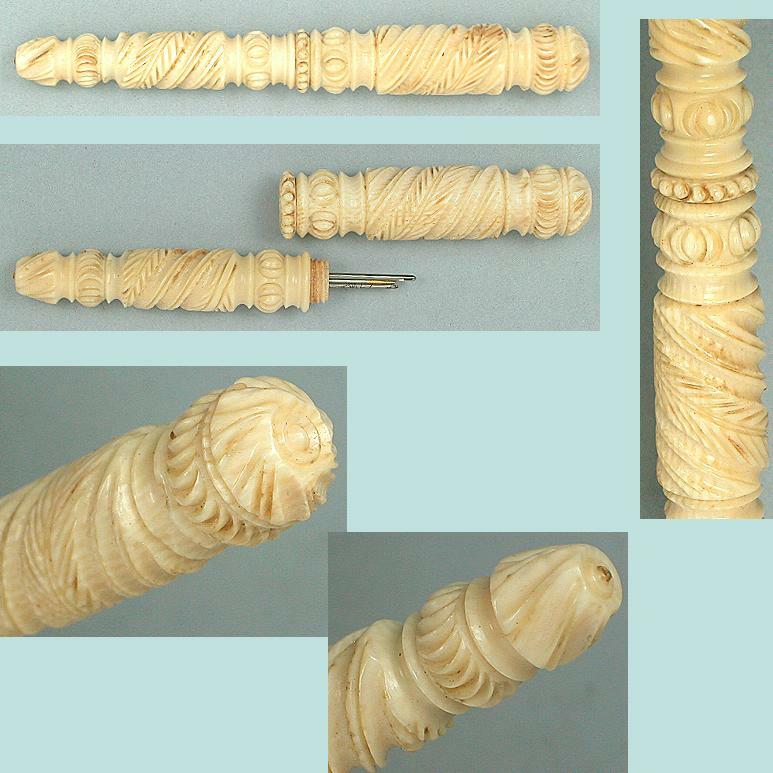 This style of pincushion allowed the pins to be stuck flush into the material around the cushion's edges so it could be carried in the silk work bags of the day.